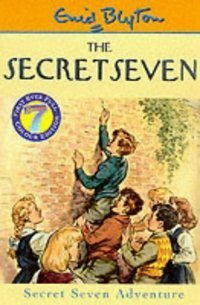 2014 Reading: #2 Enid Blyton’s The Secret Seven Adventure – It's Time to Read! The second book to be completed in 2014 is another Secret Seven book! This story, The Secret Seven Adventure, is number 2 in the series and again was a quick, easy and fun read. I enjoyed this book and the adventure I was taken on. I did roll my eyes in places and work out the mystery before they did (well done me!) but it was a good read and like before, I loved being transported back into my childhood as I read this book. That means I have now read 2 books this year, and have 2 books in my Secret Seven challenge. A review will be published soon, I hope!